I have been looking at my schedule over the last few weeks trying to decide when the best times for classes will be this year. This is where I need everyone’s help; I have some ideas but I want your feedback- just because I am free doesn’t mean you are! Classes will most likely be held on Mondays, Wednesdays and Thursday or Friday. Specific times are what is yet to be determined. Times listed in the poll are not yet set in stone. If you have any interest in attending bootcamps this year, please take the poll below so I can get an idea of how to accommodate everyone. 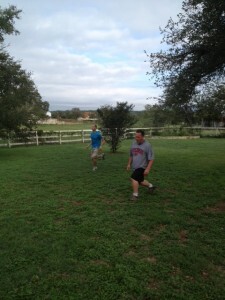 Bootcamps will be held in a similar format as last year. Non-members are always welcome to participate a well. Pay by the class or purchase a 5-, 10-, or 15-pack to get a discounted rate. First class is free for all members of Anytime Fitness, non-members get their first class at half price. This year, I am also looking to start teaching some boot camps outside of the gym in the Cedarburg/Grafton/Mequon/Theinsville area. I have been keeping an eye out for spaces but I’d love to have your input! Please let me know if you know of a group of people who might be interested in a customized boot camp, or if you know of any spaces that may be available (weight/gym equipment is not necessary). 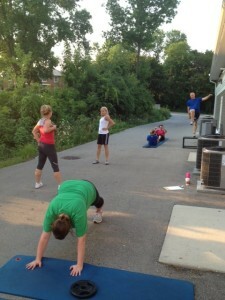 Next Post:Bootcamps have officially started!